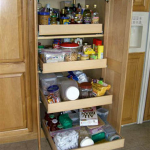 We use 1/4″ plywood and solid wood to cover your existing cabinet frames. 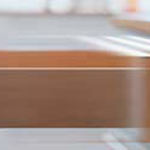 Our solid wood doors are in the classic Shaker and modern European styles, as well as the traditional American raised and flat panel styles. 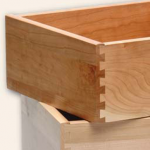 Our drawer boxes and pull-outs are made of 3/4″ solid wood or plywood with dove-tail joints. 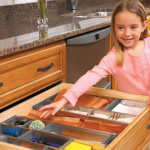 We use top of the line self-closing and slow motion European style hinges along the traditional exposed hinges.